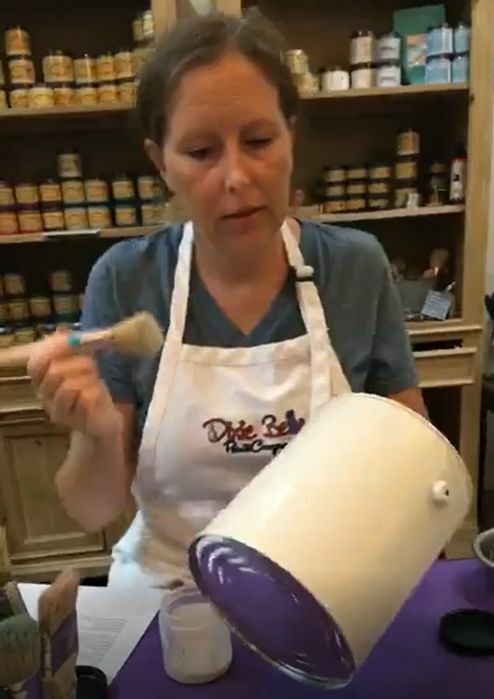 blank can, these cans were painted with Dixie Belle Paint in the color Fluff, 2 coats each for the perfect coverage, this second coat will fill in all the spots you miss with the first coat, and you don’t need to prep the can. Basically, work your way around the can, paint dries within 20 minutes. Metallic, and Fluff were used for the details. 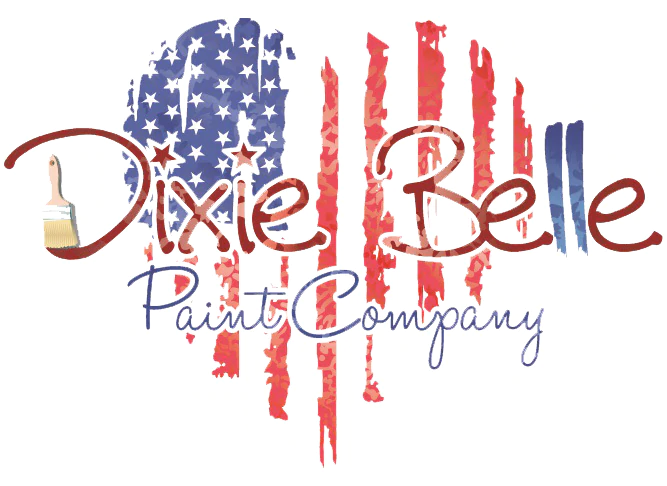 Nicole recommends two coats of Dixie Belle Paint for pretty much for everything! 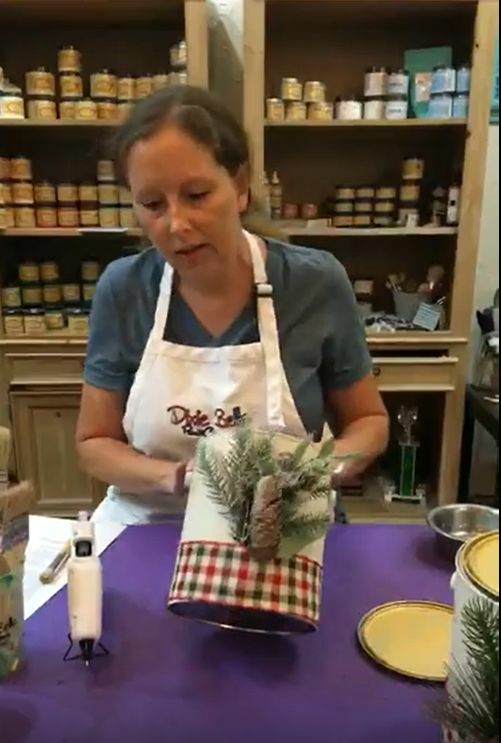 Her favorite brush is the Dixie Belle Brush it is a smooth, super easy to work with paintbrush. A little bit of Dixie Belle goes a long way it has exceptional coverage! Once two coats have been applied, and dried. 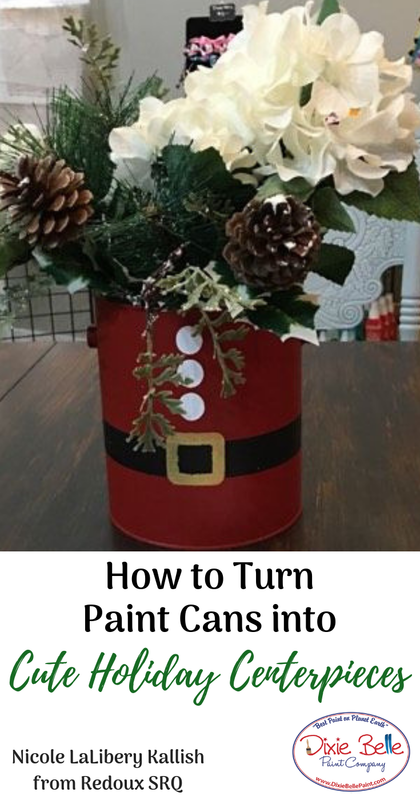 You will need a glue gun to glue on the accents, ribbon and greenery. 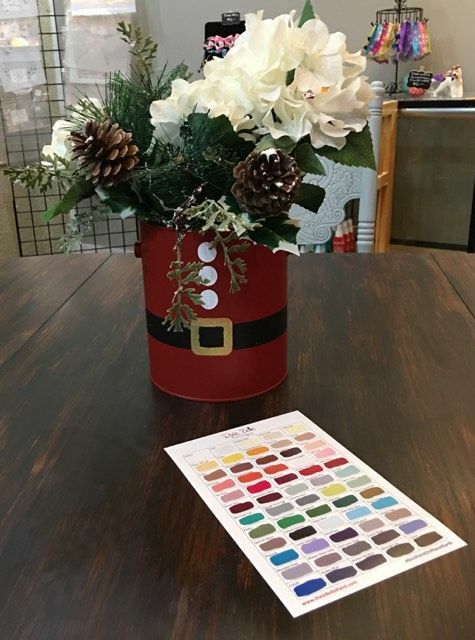 Nicole bought her ribbon, greenery/floral, and stamp at a local craft store! 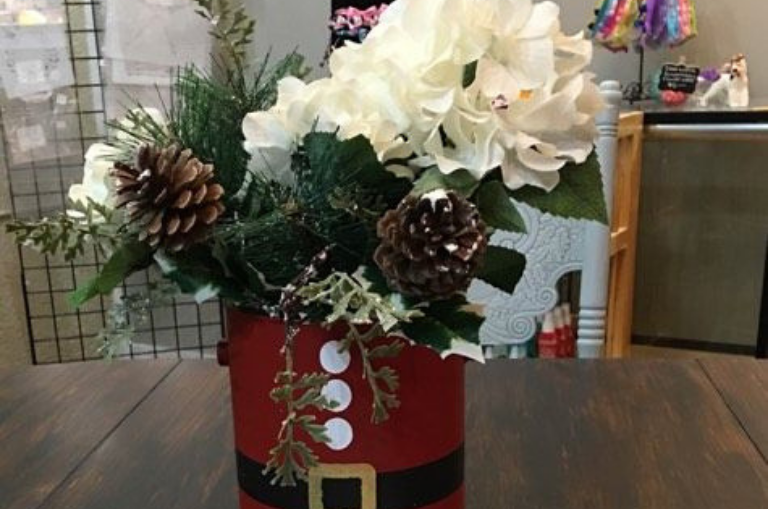 Most Christmas items are on sale right now so look for those sale items, and you can always find a coupon for Michaels, Hobby Lobby, A.C. Moore ext.! A rubber stamp was use in the shape of a snowflake. 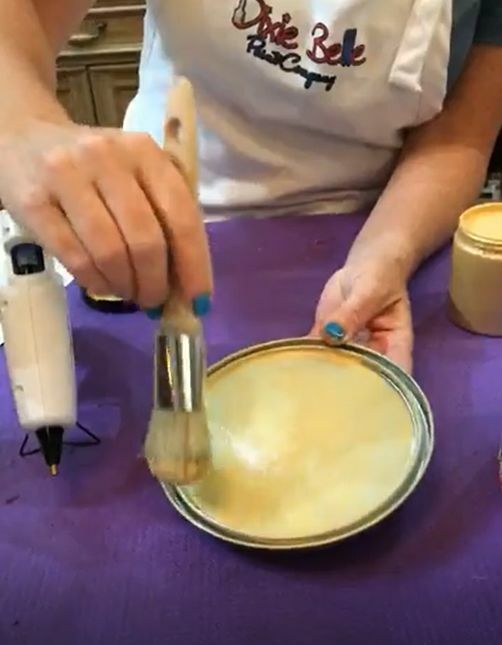 Make sure you shake your paint up, used Metallic Gold to brush the paint onto the stamp, this is super easy just stamp and place them around the can. Since the can is a round surface you may have to roll the stamp. Usually you can get 2 stamps per 1 application of paint. Once all the paint dries including details, apply a Clear Coat of Satin, which will give just a little bit of a sheen. Once the clear coat is dried your piece will be protected and durable! On the lid that comes with the can, paint two coats of Metallic Gold. the ribbon above the greenery to cover the bottom! Don’t burn yourself with the hot glue gun, be careful! 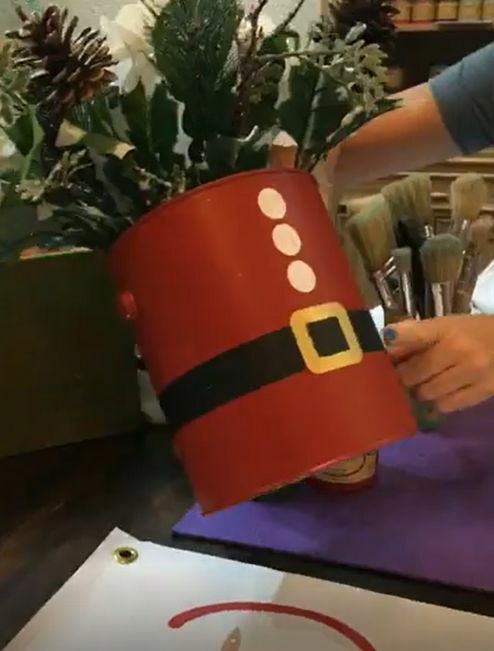 If the ribbon is a little loose at the bottom you can glue around the bottom. 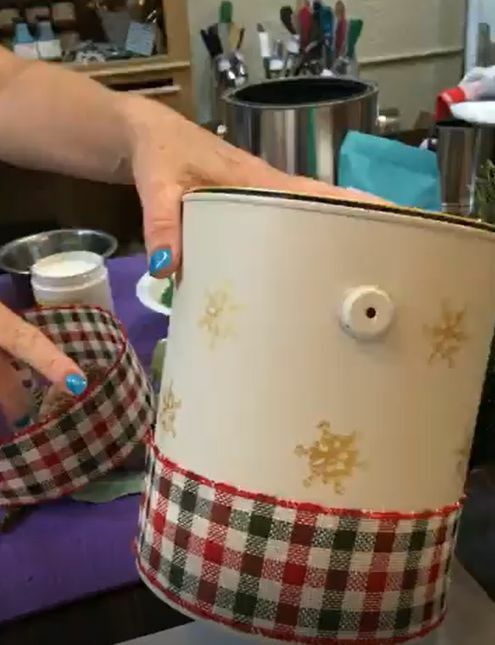 You can use the cans for storage, dog treats, store you paint brushes inside! 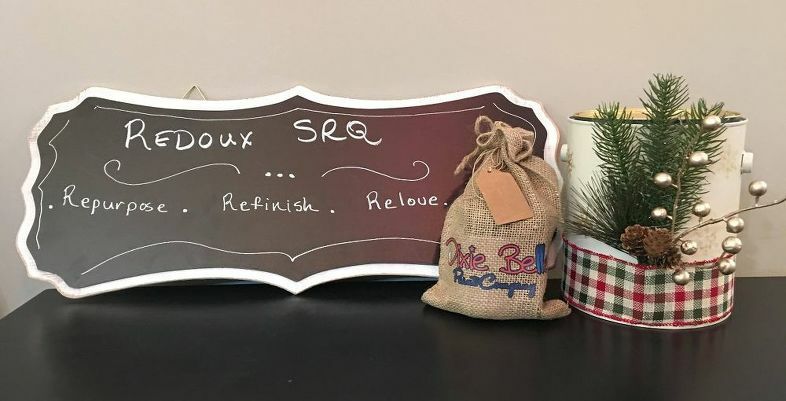 By: Nicole LaLibery Kallish from Redoux SRQ, Sarasota FL a Dixie Belle Retailer.